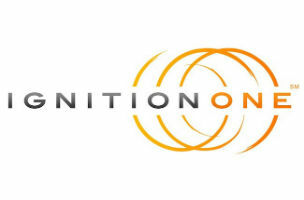 IgnitionOne, a Facebook Preferred Marketing Developer, announced this week that they completed the acquisition of Knotice, a privately-owned digitial marketing technology company. With this addition, IngnitionOne will provide a comprehensive integrated digital marketing technology solution, adding data management and multi-channel digital messaging. This includes email-based marketing automation capabilities into its Digital Marketing Suite SM. Today we see other large players attempting to piece together point solutions, but we have a strong advantage when it comes to the number of solutions already integrated, level of fidelity and agility we have right out of the gate. Based on the complementary capabilities of Knotice and IgnitionOne’s existing technologies and shared vision of our teams, this integration will move forward quickly and smoothly, to the benefit of our clients. Cross-Device Clarity: 1st-party data ties to cross-channel activity, allowing consistency and relevance across touch points and devices used. We share the same vision of unified, integrated marketing. We also share the same commitment in providing marketers with advanced technology to better understand and connect with consumers, closing the loop on end-to-end customer lifecycle management. The acquisition of Knotice continues IgnitionOne’s history of adding top entrepreneurs to their leadership team and providing room to drive vision, expand product development and be part of something really big.